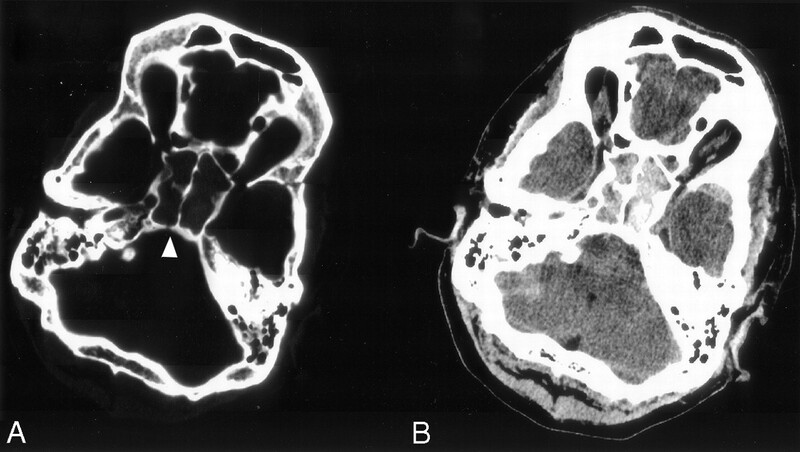 A, CT section at bone window setting demonstrates a fracture in the clivus at the site of basilar artery herniation (arrowhead). B, CT section at soft tissue window setting demonstrates hemorrhage in the sphenoid sinus, with a small hypoattenuated region posteromedially representing the patent basilar artery. A, T2-weighted image shows hyperintensities in the pons and right lateral cerebellum. B, T1-weighted image shows the patent herniated basilar artery within the sphenoid sinus and a small amount of hyperintense subarachnoid hemorrhage in the prepontine cistern (arrowhead). The flow void of the basilar artery is also evident on the T2-weighted image (A). C, Diffusion-weighted (b=1,000) image confirms acute pontine and cerebellar infarction. A, Axial TOF partitions (1–6, bottom to top) demonstrate the constriction of the basilar artery as it enters the sphenoid sinus. 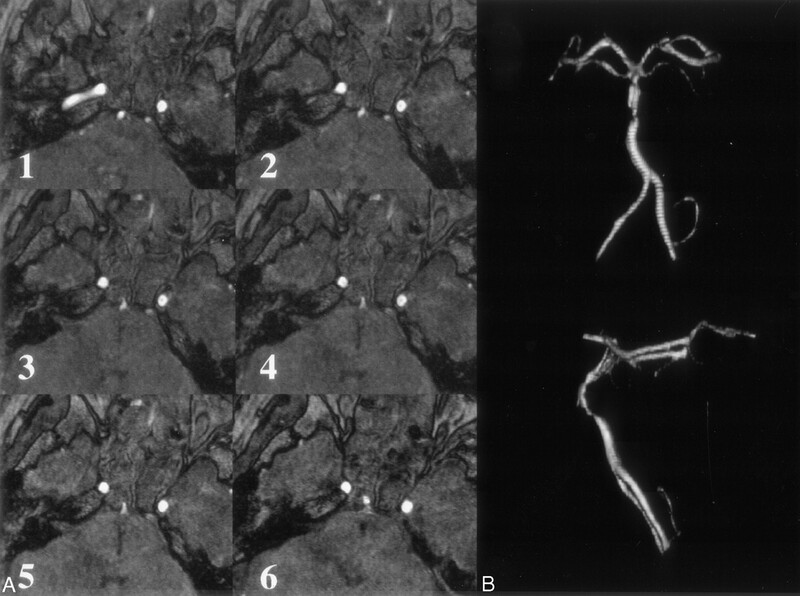 B, 3D reconstructions of TOF MRA images show a patent but severely stenotic basilar artery, with focal anterior deviation as the artery extends into the sinus.